Southernoise, Keropokman and I finally got to do our Robertson Quay mini pigout that was delayed for a bit. We wanted to try Da Mario's after reading NinjaHK's review. I'm glad we did. 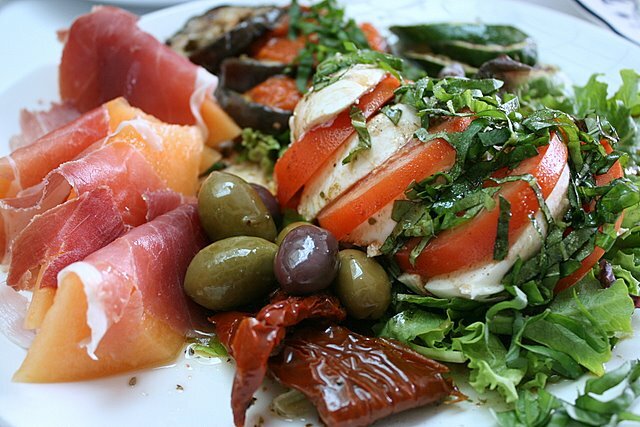 Look at the glorious Italian Antipasto salad (S$30). Parma ham draped over sweet melon, Caprese salad (buffalo mozzarella with basil and tomato), olives, sun-dried tomatoes and grilled vegetables (eggplant and zucchini). All incredibly refreshing! I would gladly come back for this again. We overheard the chef saying the calamari (S$14) was fresh that day. So we took one order too. 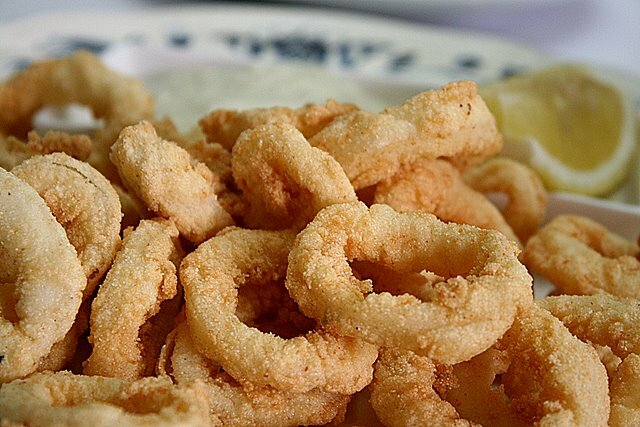 The batter is slightly different from the local run-of-the-mill calamari batter. It's hard and crunchy. I can't decide if I like this better, but it does go well with the homemade tartar sauce. The pizza I liked very much. This is one of their best sellers, according to the waiter. 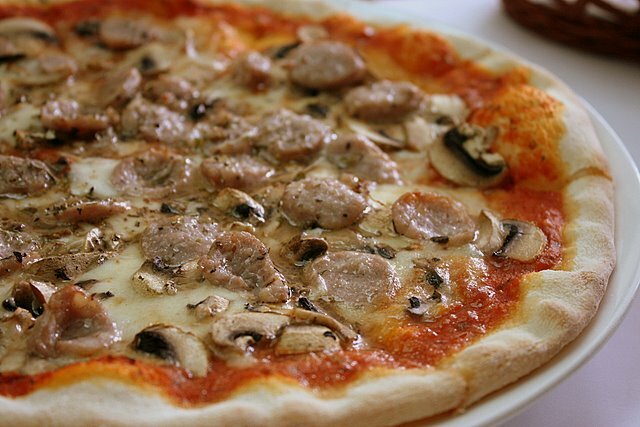 Pizza Rustica (S$18) - tomato, cheese, Italian pork sausage, and button mushrooms. 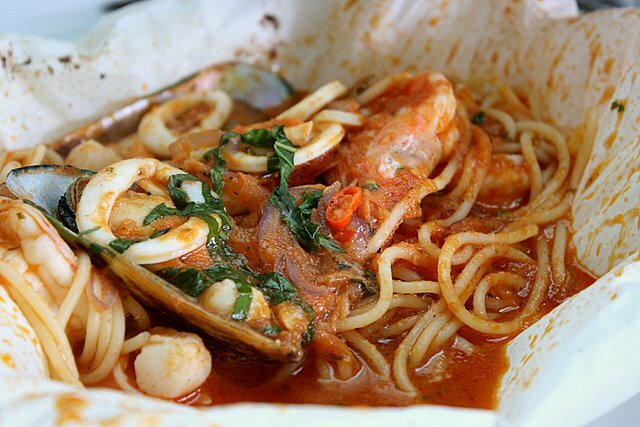 The other recommendation was the Pasta Cartoccio (S$22) - spaghetti with sauteed squid, prawns, clams and mussels in light tomato sauce, garlic and white wine, bagged in foil. I tend not to be fond of foil-cooked stuff as it always tends to be overcooked. The spaghetti was indeed too soft (for me). The sauce while not unpleasant, certainly is light. A bit underwhelming. I seem to be coming across beards in mussels just a bit too often these days. The waiter dismissed it as "something hard to pull out". The chef later came out to explain. He uses frozen, pre-cleaned New Zealand mussels on the half shell. These are hard to inspect as he does not defrost the mussels before cooking. But he assures us these beards are not "dirty" or of concern. Later I looked up and learned a lot more about these beards, or "byssus threads", which mussels use to attach themselves to rocks and surfaces. Here are some nuggets of information on this biological wonder. * The byssus threads of mussels are so strong that they can even cling to a Teflon surface. Scientists are now developing a mussel-based adhesive for use in eye surgery. * How it works (from Wikipedia): When a mussel's foot encounters a crevice, it creates a vacuum chamber by forcing out the air and arching up, similar to a plumber's plunger unclogging a drain. The byssus, made of keratin and other proteins, is spewed into this chamber in liquid form, and bubbles into a sticky foam. By curling its foot into a tube and pumping the foam, the mussel produces sticky threads about the size of a human hair. It varnishes the threads with another protein, resulting in an adhesive. * According to Alton Brown, the byssus threads are so resilient, Greek fishermen wove these into work gloves that sometimes lasted generations. How creative! They had to be kept in salt water though. * The beard must be removed before cooking, as it is not only inedible, but gritty to taste. But very few sites discuss what to do when you find cooked mussels with beards still inside. 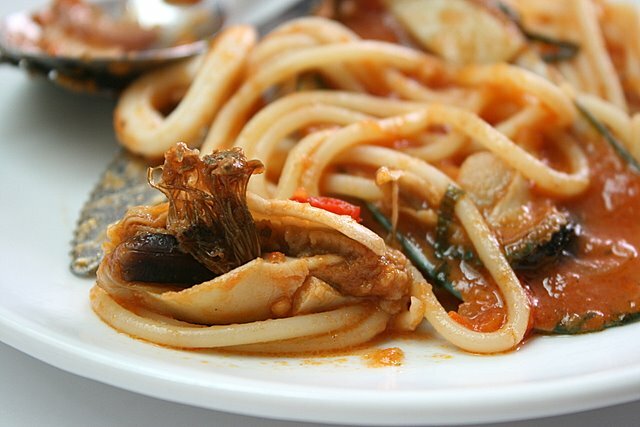 Can you just remove the craggly threads and eat the mussels? My dining companions think they should not be eaten. The chef eventually apologised and gave us a treat of tiramisu (S$7). This moist, creamy, cocoa-dusted confection was not too bad, even though the alcohol content was barely detectable. 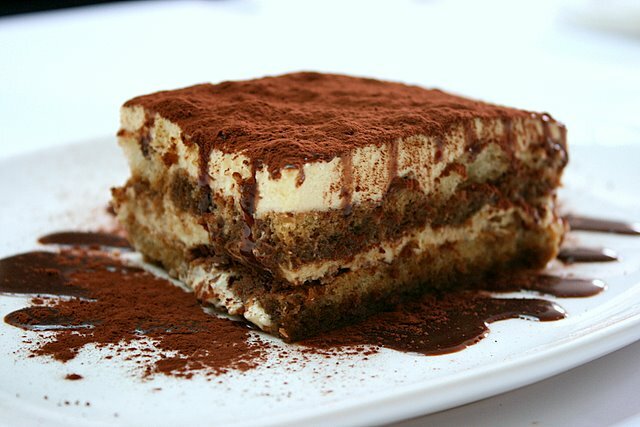 I always like tiramisu, no matter how it's made. Don't expect much ambiance here. It's really casual dining. Some of the food can be worth coming back for. There's lots on the menu to explore. But this was only our first stop. Next up was ramen! Woohoo! Yes, I did mention it was a pigout session. But the ramen will be another post for another day. P.S. Did you know mussels with orangey flesh are female, and those with beige-white flesh are male (or very young females)? Check out what Keropokman and Southernoise had to say about this outing! The tiramisu looks good and so does the calamari rings! Wow, your photos make the food looks so good and thank you for putting some information about mussels. I have never pay attention to the gender of them. I thought they are just like humans with different colour skin tones. I understand you like Jpn food, any recommendation along East Coast Road? nearer to where Katong Laksa is located? Oh the antipasto!! Bit ex, but if it's worth it like you said, I'm there! 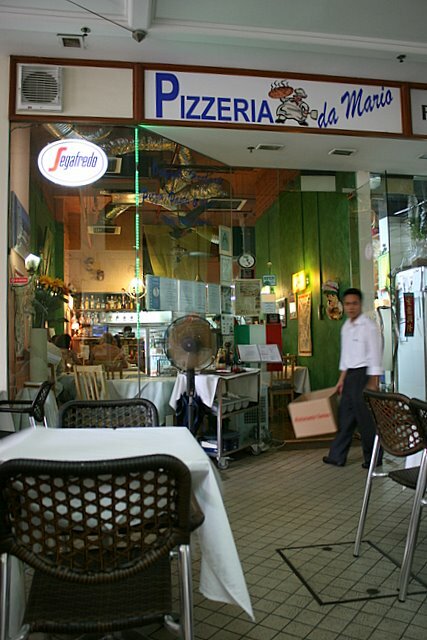 nice italian food..definitely a must try antipasto eh? Ben-G: yeah, I know. But share it with friends and it won't sting as much! Kenny: wow thank you! such high praise! Esther: I'm going back for more! Joe: yes, but I guess only if you like antipasto. K-man and Southernoise: absolutely! let's go again! Your pictures look amazing as always, and you are so good that ou can make average food look great! I might be picky on my Italian food, or we might have had 2 totally different experiences, but this time I have to disagree on the judgement (which is usually good). I have tried this restaurant and thought it's quite shameful. The pasta was to be avoided (I don't think I had such bad pasta in my life) and the pizza was totally average. Overall, I didn't see any point in going to this restaurant and paying those prices for food that to be quite frank can be almost offensive to the 'real thing'. da mario is one of my fav no frills italian. i recommend u try their pasta with black truffles if u are a truffles fan. however dun expect top grade truffles here. and their tiramisu is quite 'halal'.